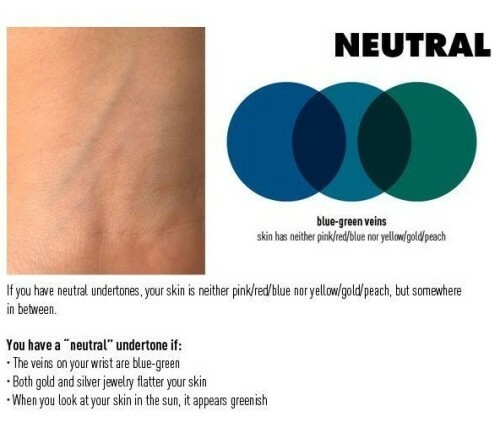 Finding your undertone is useful to choose the right foundation, to know if you should wear silver or gold accessories and also is the first step in finding your seasonal color with the help of color analysis. 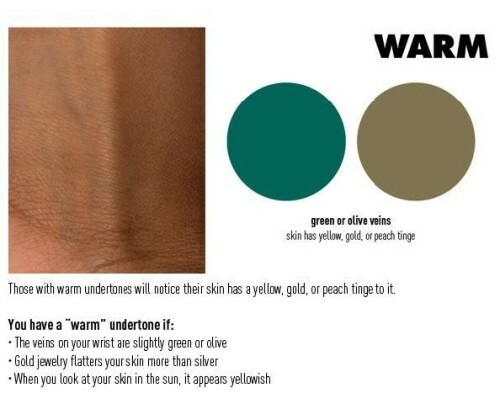 Color analysis or seasonal color is the process of finding colors of clothing and makeup to match a person’s skin complexion, eye color, and hair color. 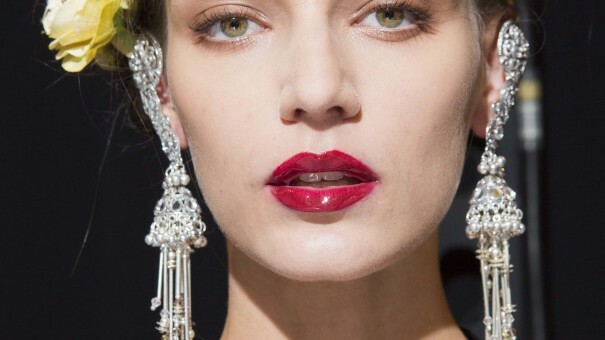 I use it for wardrobe planning and style consulting with my clients. 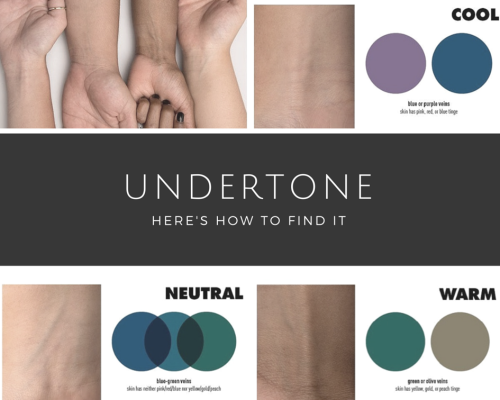 You want to know your undertone? it’s very easy. 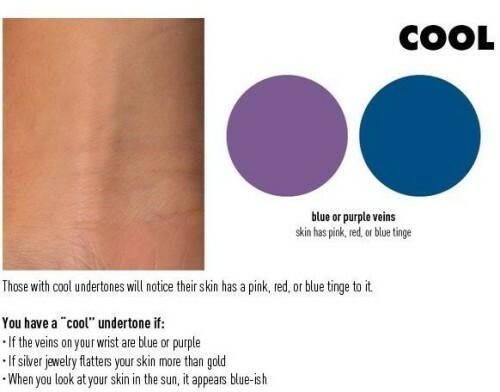 Here’s how to find it! This principle apply on all skin types, from very fair to dark. Need help? Just e-mail me!